Shasta Browns back on the bite! 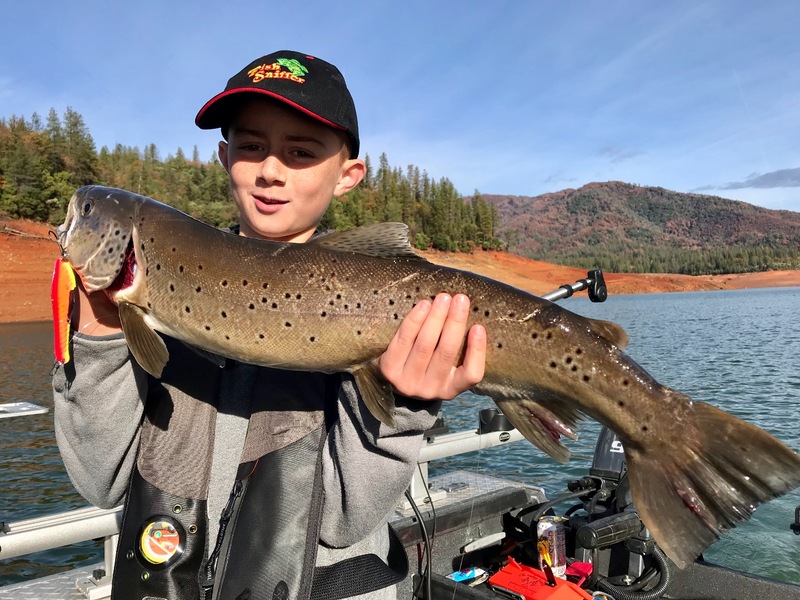 Beautiful Shasta Lake browns caught by the Moore boys! A 6#, 5#, 4#, and 2# kind of day for these happy kids! These were just the browns, we caught some great rainbows as well! 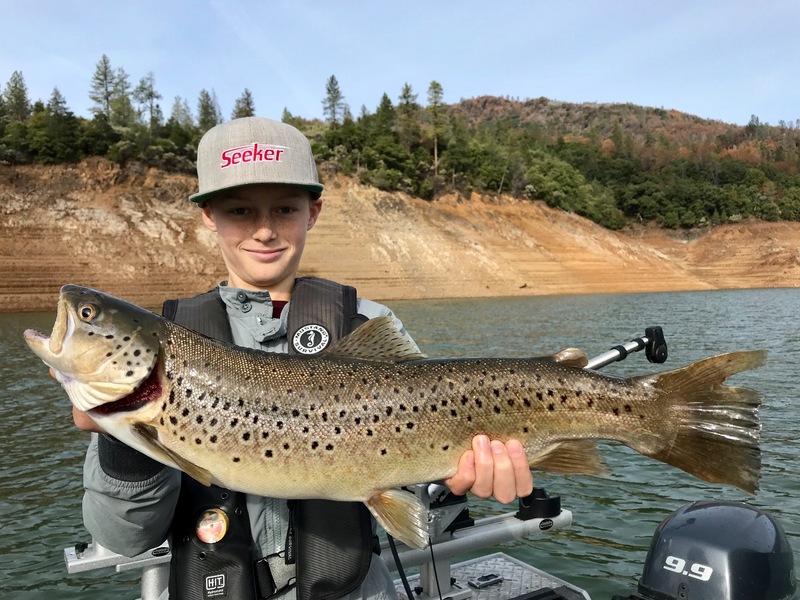 Today we fished Shasta Lake and after catching a bunch of rainbows, we finally found a good brown trout bite. I've been beating the surface for them for weeks and they finally showed up after the big moon and a nice wet weather pattern. We hit everything up top and the Optimizers were definitely the hot lure today. 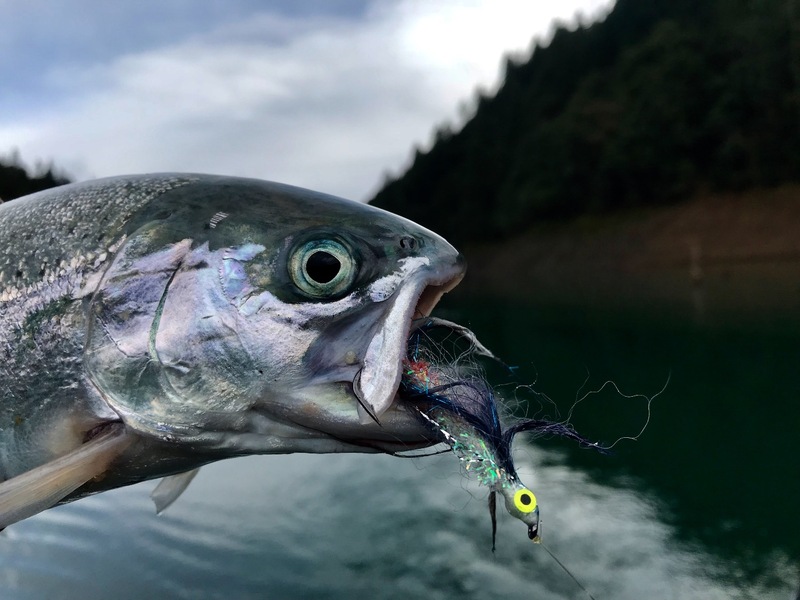 The Arctic Fox Trolling Flies took some trout and so did the Bay Rat Lures as well. The rain didn't color up the water much, but its did give the arms some color up high. Looks like its big brown season again! We'll be catching browns all winter into summer now if water conditions hold up. I have lots of available dates this winter but I'm already booking dates for the spring browns so now would be a good time to set up your dates, especially if you want the February-May dates. 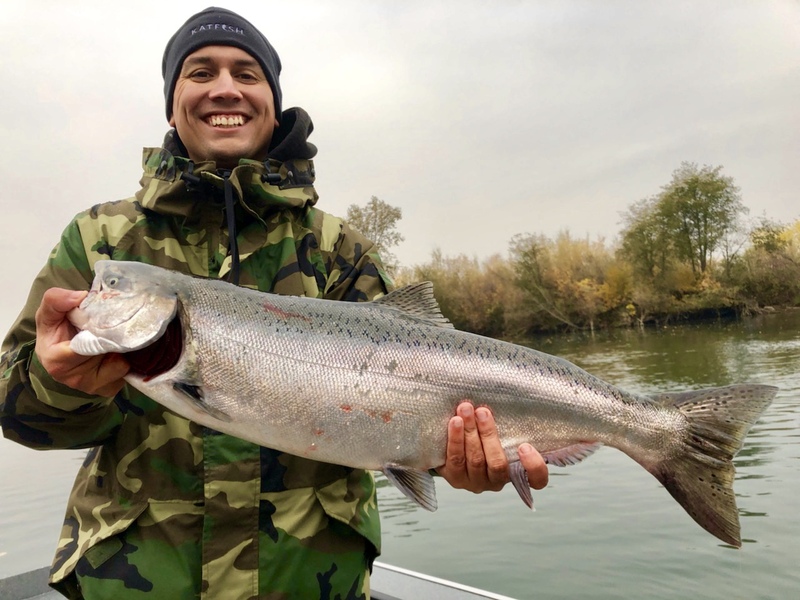 Sacramento River - Lower: Big King bite today on the Sacramento River! 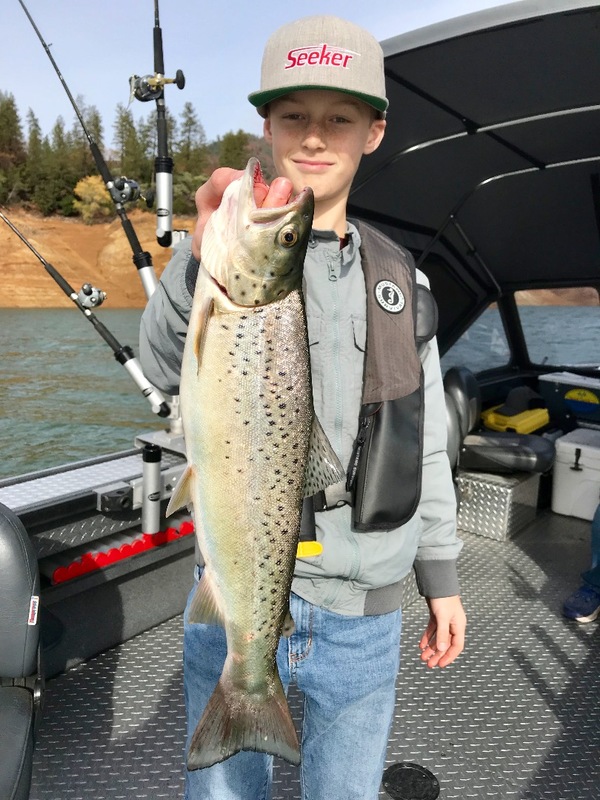 Time for Shasta Lake top liners to shine!